Saints Row: The Third doesn't take itself seriously, but it does contains some serious amount of fun. 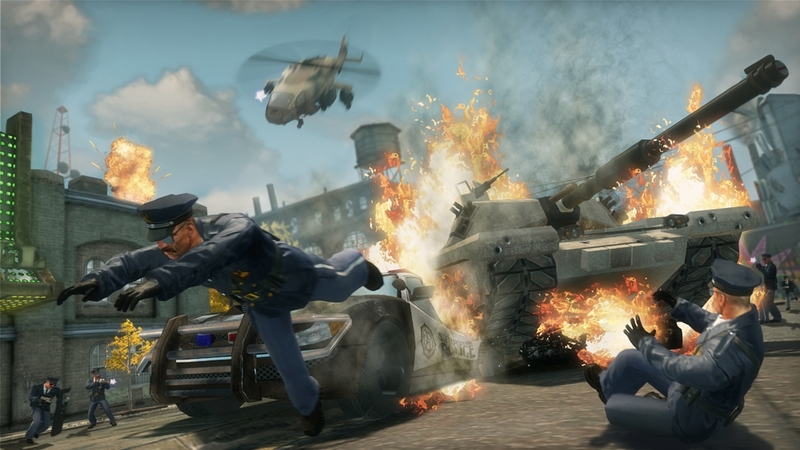 Whether you're playing through missions to progress the story, running around the city messing with pedestrians, or completing one of the many activities in the game, you're bound to have a blast with this over-the-top open world game. 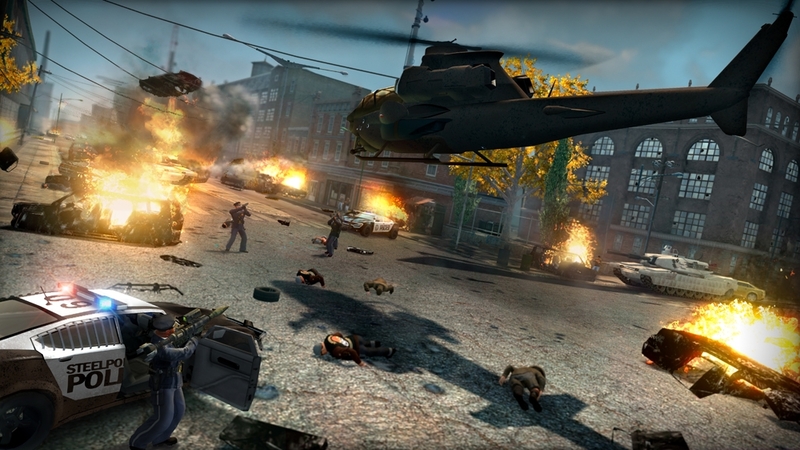 Saints Row 2 introduced more of the crazy gameplay elements to the series, and The Third rises the bar even further with more variety and twice as many crazy moments. 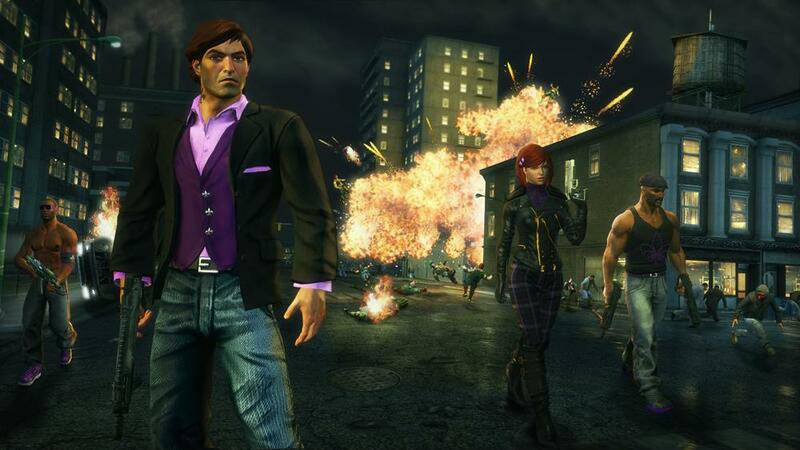 Things start off pretty intense in Saints Row: The Third. After taking over Stillwater once again, the Saints become huge icons and expand their name with marketed clothes, comics, movies, and even a energy drink. No matter how popular they have become, the Saints still have the itch to be criminals, and this eventually puts them in a predicament with Morning Star, one of the new groups who seek control of the Saints business. I wouldn't call them a gang because their reach is much higher and they seek to make a deal with the Saints before resulting to violence, but if the Saints just agreed there wouldn't be too much conflict in this game. After some crazy things happen that are too awesome to spoil, the Saints find themselves in a new city called Steelport. While still being recognized as celebrities in a way, the Saints still have to work their way to the top. There are about 47 missions that take you through the story elements of Saints Row, and took me about 16 hours finish, with a nice chunk of that time completing other activities. I'm currently working on completing all of the activities and have since surpassed the 20 hour mark with the game. 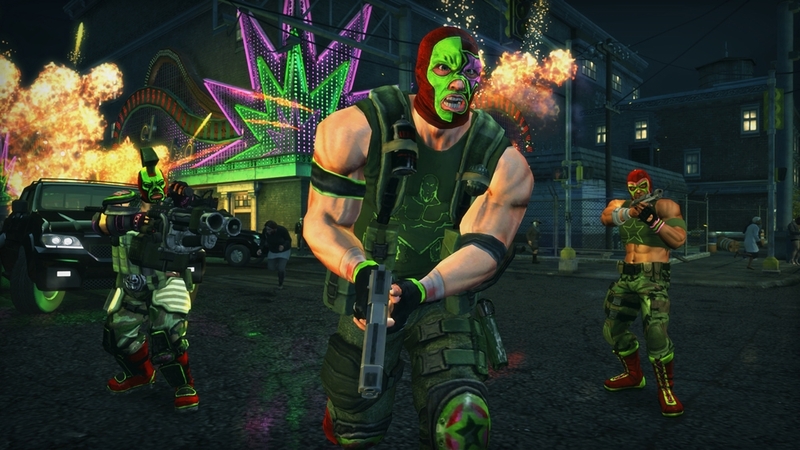 The way you play the game has changed a little bit with Saints Row: The Third. The respect meter that required you to have a certain amount to continue more story missions has been replaced with a leveling system. When you level up, you unlock the ability to upgrade your character and could eventually have a character that receives no damage from bullets, wield infinite ammo guns, and have access to nitrous to any car you jump in. It's nice that you're not forced to complete activities to advance the story, but they're still pretty fun to do. Favorites return like Trail-Blazing, Insurance Fraud, and Mayhem, and are accompanied by some new ones that help flesh out the mix of activities. Hitman missions and Vehicle Theft assignments return too, helping to add more things to the game. I usually hold off on a few of these after I complete the game, just so I still have a few things to do in the world after the credits roll. There's also the new survival modes to play called Whored Mode. This survival mode takes place in different environments where you must take on waves of different enemies, most notably Ladies of the Night. Player Customization is still a major element to the game, and now you can share your creations with friends. If you downloaded the Initiation Station, you could import your created characters as long as you visited the Saints Row website and made them available to share. Make sure you do this as there is an achievement to be had! There are also more stores to enter and even more variety in the types of outfits you can create for your character. When initially making your character, you also have the choice of three male & female voices, and even a zombie voice to use for your character. Competitive Multiplayer is gone in this game, with Co-op play being the sole multiplayer experience available. Purchasing used, renting, or borrowing the game will require players to pony up $10 for the Online Pass, which then grants the ability to play co-op and have a partner in horde mode. 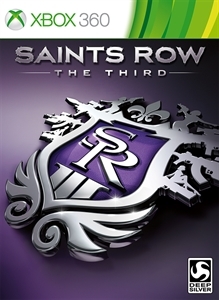 Saints Row: Third looks better, plays better, and offer more options than it's predecessors and gives you plenty to do in it's open world. There's plenty to keep you playing hours after you've beaten the game, and with downloadable content coming down the line, it looks to offer up more wacky fun stuff soon.